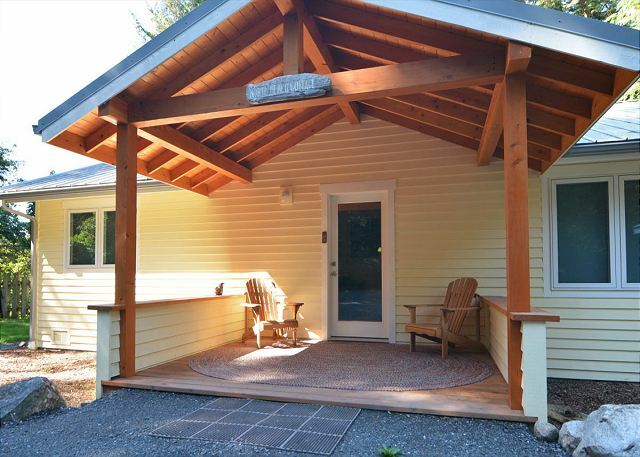 AVAILABLE ONLY FOR 30 DAY MINIMUM RENTAL Private and serene, yet only two miles from the town of Friday Harbor. Perfect for extended stays, a couple, two couples, or small families. 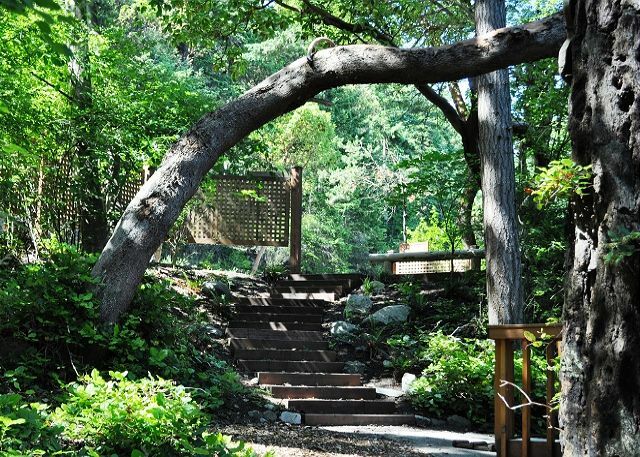 Perfect for getting away from the rush of Friday Harbor, yet so close. 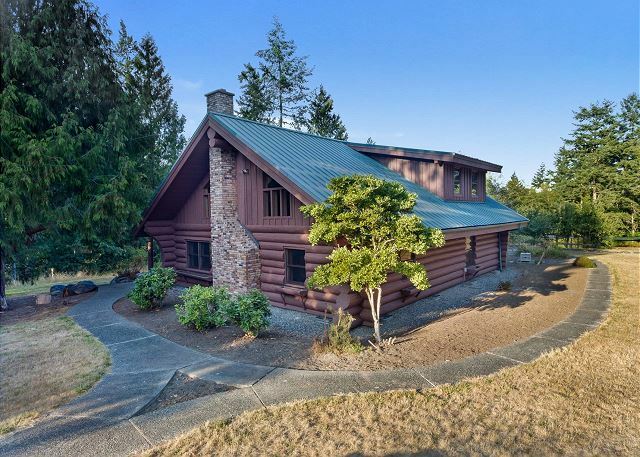 A peaceful, secluded location with an absolutely charming, yet modern, log cabin with all of the amenities. Give it a look, you won't be sorry! New for 2019. This romantic vacation rental cottage will remind you of a Parisian garret, but when you step outside it's all Orcas Island. 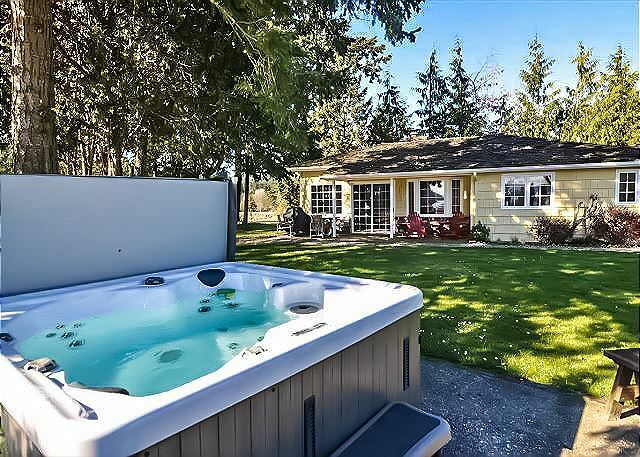 A pastoral location with Olympic Mountain views, a beautiful sand and gravel beach and a screened deck and hot tub! The Captain's Cottage, located close to Roche Harbor Resort, overlooks the popular Isthmus beach on Davison Head. The perfect setting for a romantic couple's getaway! Easy walking to the Resort and all of its activities and attractions. 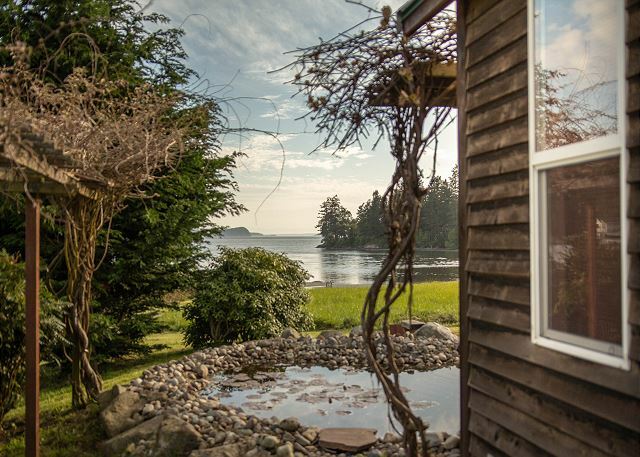 With spectacular views of Olympic Mts & Deer Harbor marinas, this spacious Orcas Island guest house sits at the water's edge within a 3+ acre family compound. A great location for kayaking & beachcombing, with level lawns for games and a hot tub. 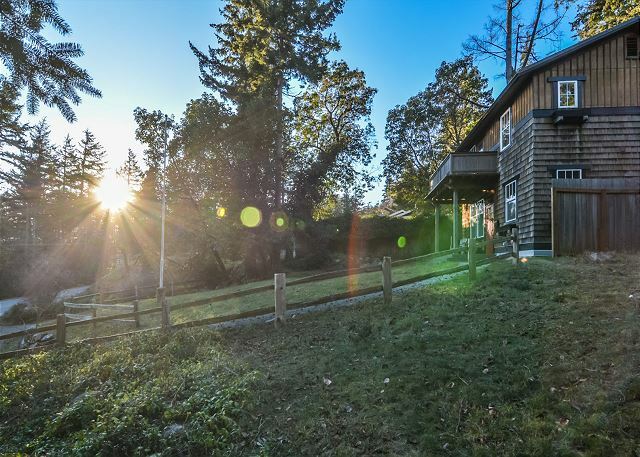 This charming water view craftsman style cottage is ideally located and just a short walk to the quaint, picturesque Village of Eastsound and Waterfront Park. The Adirondack chairs on the covered front porch invite you to relax and enjoy the water views. This is a charming, newly updated cabin by the ferry landing. Relax while you take in the ever changing views of the water, boating traffic, and ferry crossings from two wonderful waterside decks. NEW HOME! 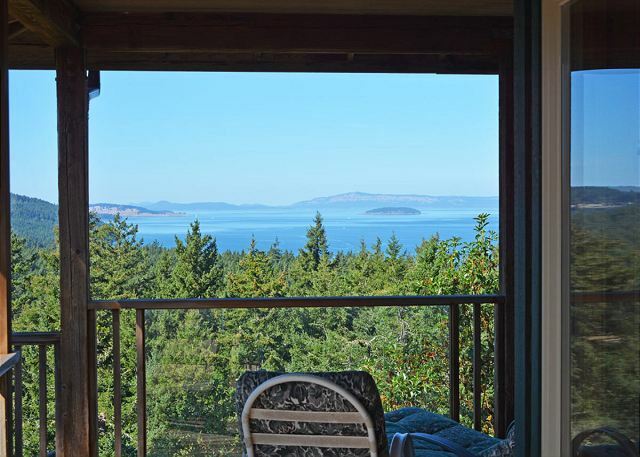 This vacation rental on Orcas Island is within hiking distance of the ferry landing, market, post office, and dining options. 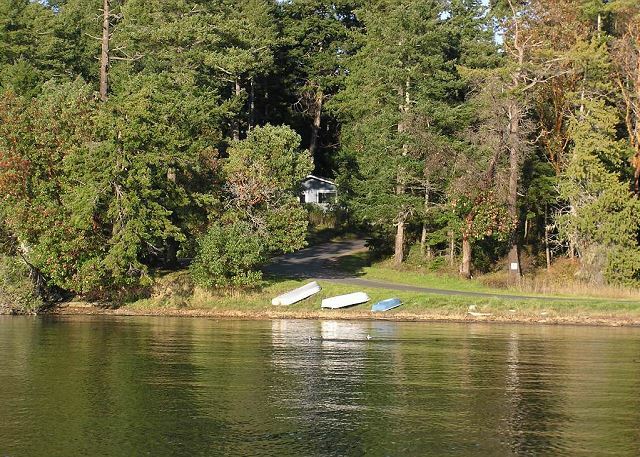 It offers two acres of fern-filled forest, sun-drenched clearings, and lovely southwesten water & island views. 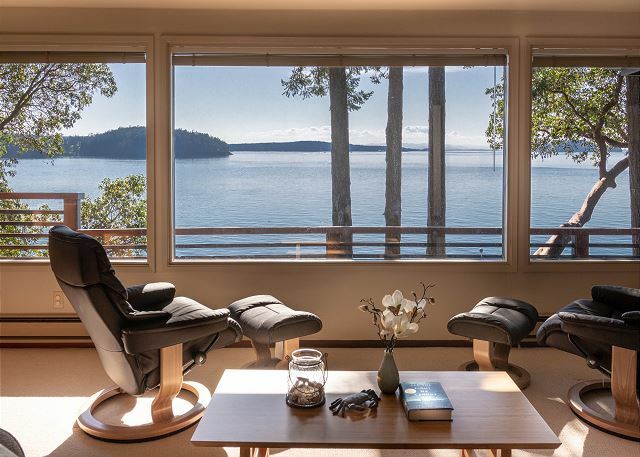 You'll love the genuine Orcas Island atmosphere of this cozy home with a pocket beach. On the desirable West Side just past Deer Harbor, with amazing sunsets, fantastic views of the neighboring islands, boating traffic, just delightful! This cheerful cottage was completed in 2013. Perfect base for a couple or family - within a short walk of Eastsound Village and only two blocks from beautiful North Beach!